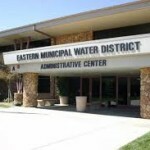 On behalf of Eastern Municipal Water District, we would like to set the record straight regarding Ms. Steinbeck’s guest column on the water rights of residents within the Paso Robles and Kern County regions. Perris-based Eastern Municipal Water District has never conducted groundwater banking within the Paso Robles or Kern County regions. While the law firm of Lemieux & O’Neill do serve as outside legal counsel for EMWD, the letter Ms. Steinbeck describes that was distributed to landowners in the region was not drafted or delivered on behalf of EMWD. It is disappointing that Ms. Steinbeck repeatedly erred in this information. Kevin Pearson is the media relations officer for the Eastern Municipal Water District. EMWD “has never conducted water banking within the Paso Robles region”… yet, as there are no facilities yet to do so. There is no denial that this could occur, and the spokesman was careful not to exclude the possibility. Lemeiux’s letter was not distributed on EMWD’s behalf but it was distributed by Lemieux and it is an attempt to dissuade landowners above the PRGWB from protecting their water rights in court. Lemeiux firm represents EMWD. EMWD’s board of director Randy Record, who also coincidentally has been “advising” PRAAGS on the type of water district that they should set up, also sits as 1st Vice Chair on MWD – MWD stores “water” (or rather “allocations”) in Semi Tropic. Believe me EMWD is interested. Why would a water district based in Perris, Ca. – half a days drive away – care what an opinion article states on the Central Coast? Me thinks thou doth protest too much.